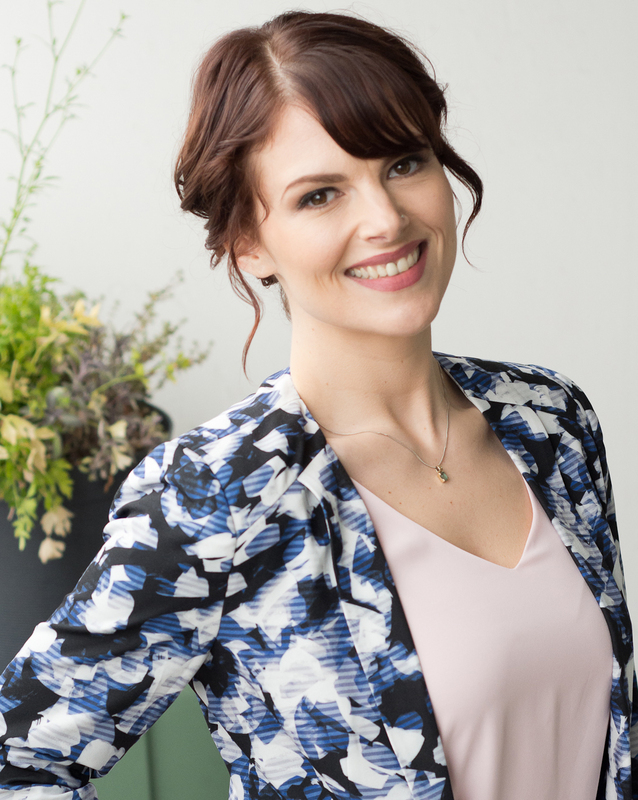 Roasted Pumpkin Seeds: My Seedy Little Secret – Erika Brown R.D. They say one person’s trash is another person’s treasure. Well, that’s literally the case when it comes to pumpkins. Carving a gourd may get the kiddies all riled up, but it’s salvaging the seeds that gets this Dietitian’s heart pumping! Pumpkin seeds, also known as pepitas, are proof that good things come in small packages. Just two tablespoons (28 grams) pack in almost a quarter of your daily iron needs and more protein than an entire egg. 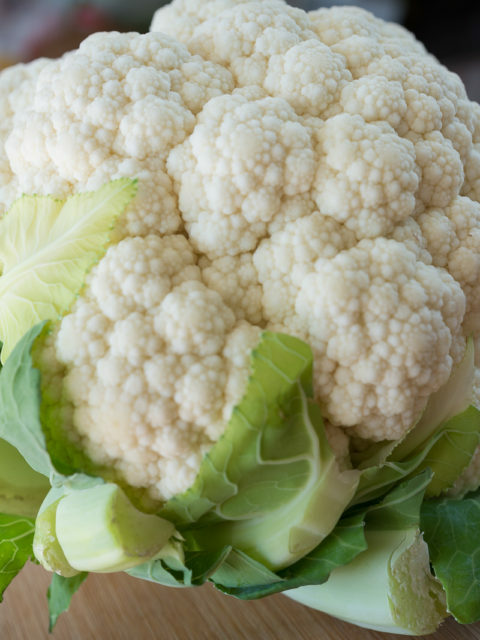 Plus, they’re loaded with immune boosting zinc and magnesium, which helps regulate blood pressure and muscle function. Even more impressive: they still find room to squeeze in 2 grams of fibre, a ton of heart healthy oil and disease fighting antioxidants – now that’s what I call a superfood! 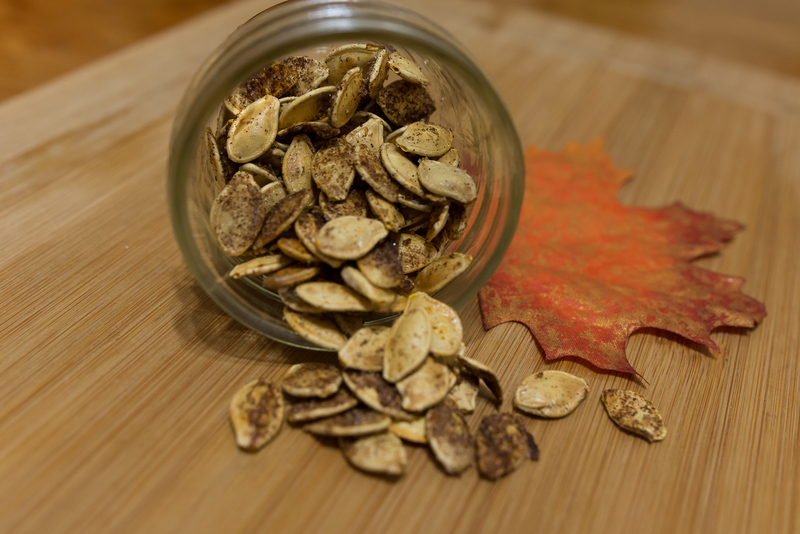 So if you find yourself elbow deep in pumpkin this weekend, don’t forget to save the seeds! You can season them however you like – sweet, spicy or with good old salt (anything you put on popcorn you can put on pumpkin seeds). After they’re roasted you can crack the shell and remove the inner seed or eat the whole seed, shell and all (my personal choice). Pumpkin seeds are great sprinkled on salad, soup, pizza and chili. They also add a delicious crunch to no-bake energy balls, granola and trail mix. 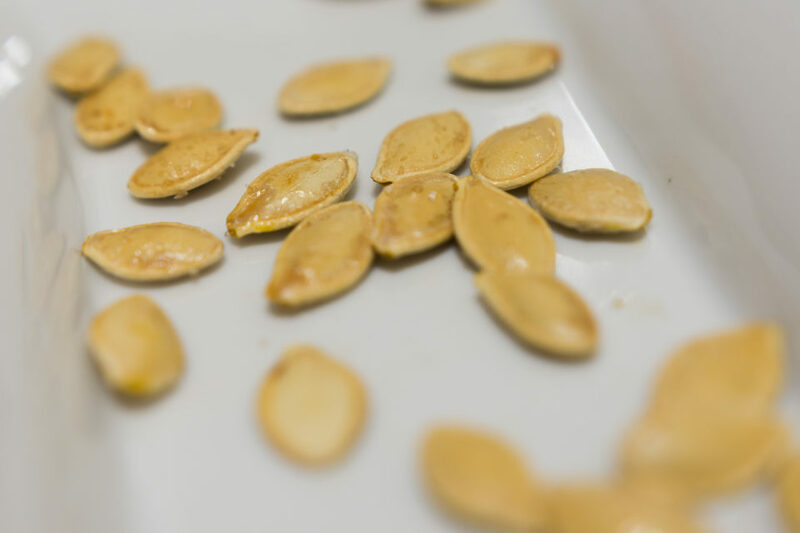 When it comes to seasonal snacking, pumpkin seeds really squash their competition. Loaded with iron and protein, just ¼ cup counts as a plant-based serving of meat and alternatives. Whether you prefer pumpkin spice, spicy chili powder or simple salt, the flavour possibilities are endless! Cut off the top of your pumpkin with a sharp knife. Using a strong metal spoon, scoop out all of the pumpkin innards and place in large bowl. Fill the bowl with water. Most of the seeds will float at the top so you can easily scrape them from the surface. The others will need to be separated by hand. 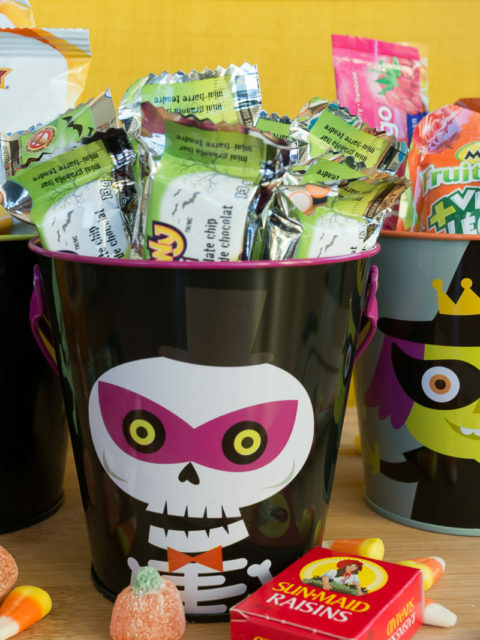 Place the pumpkin seeds in a colander and rinse with cold water. After rinsing your seeds, pat them dry with a cloth. Paper towel works also but may leave some paper bits behind. Drizzle 1-teaspoon olive oil on rimmed baking sheet. Sprinkle seeds over oil and toss well to coat. Dust with salt or spice mixture of choice and toss again to distribute flavour. Bake for 15 to 20 minutes or until golden; tossing half way through. *If you’re not a pumpkin carver but love to roast the seeds, choose cooking pumpkins instead of carving pumpkins. 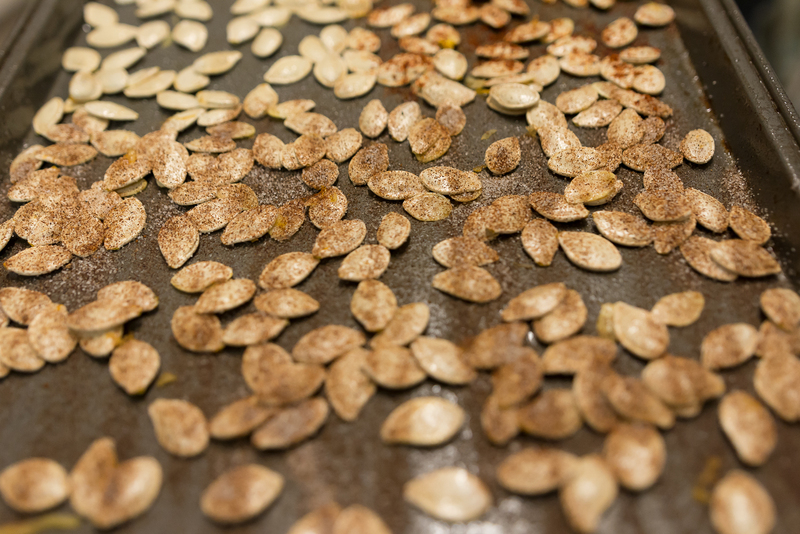 You can roast the seeds and also use the pumpkin flesh for all your favourite pumpkin recipes. For a great pumpkin roasting tutorial, check out this “how-to” by Oh She Glows.